This week we welcomed our 2017/18 Apprentice intake to the Story family – Ben Cook, Ryan Armstrong, and Ryan Thurlow have joined us as Apprentice Joiners, Matty Davies, Liam Percival, Aaron Newton, Bradley Graham and Conor Hanley as Apprentice General Operatives, and Bobby Steele as Trainee Engineer. This is a proud moment for Story Contracting as it marks the first group of apprentices to be officially inducted into the company. 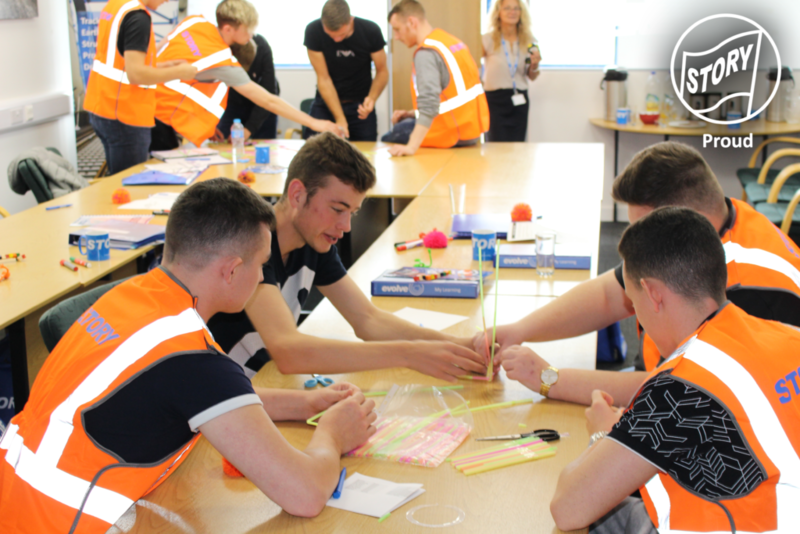 The induction week programme has seen the apprentices busy with meet & greets, tours of the Carlisle facilities, site visits, teambuilding exercises and enrollment onto their college course. They will also be presenting to the CEO next Friday, so no pressure! The response from the apprentices so far has been fantastic, they’ve shown lots of interest in the business, enthusiasm for the activities and willingness to engage with fellow staff members. We can all contribute to helping the apprentices settle in and feel part of the team, so if you happen to see any of the guys in the office or on site, please do make an effort to speak to them. The whole induction programme will run for the next 12 weeks, where the apprentices will be based on-site. 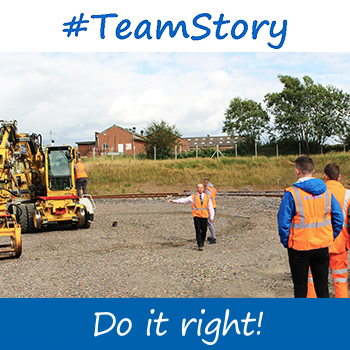 Interested in joining the Story Contracting team? Visit our jobs page to stay up-to-date with the latest vacancies.